The Aggies defeated the Phoenix on Friday to set up a matchup with the winner of Texas and Northern Iowa on Sunday. While most NCAA tournament viewers were turned into No. 14 Stephen F. Austin’s upset bid against No. 3 West Virginia, another 14–3 matchup was becoming a lopsided affair. Led by 20 points from senior guard Danuel House, No. 3 Texas A&M defeated No. 14 Green Bay 92–65 in the Round of 64 in Oklahoma city. 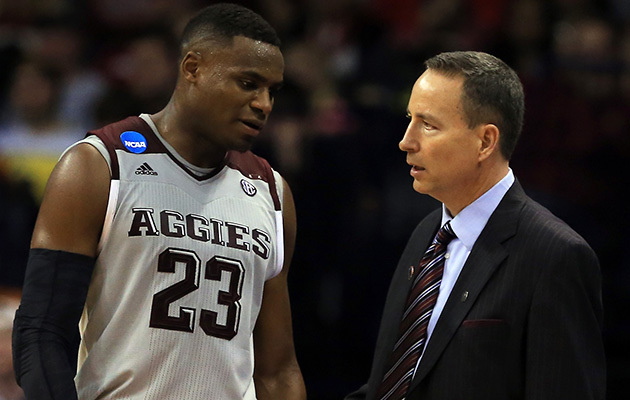 Much of the talk about Texas A&M since Selection Sunday has surrounded the fact that the Aggies received a No. 3 seed while the team that beat them in the SEC tournament championship game, Kentucky, was pushed to the four-line. The Aggies trailed by as many as eight points early but recovered quickly and outscored Green Bay by 19 points in the second half. It was Texas A&M's ninth win in 10 games. Texas A&M will face No. 11 Northern Iowa on Sunday for a spot in the Sweet 16.